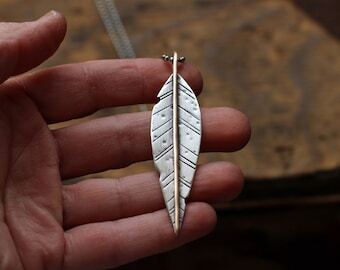 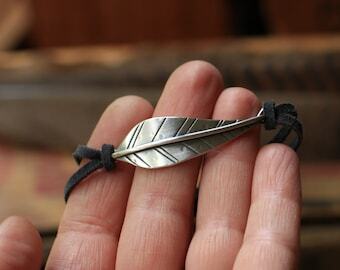 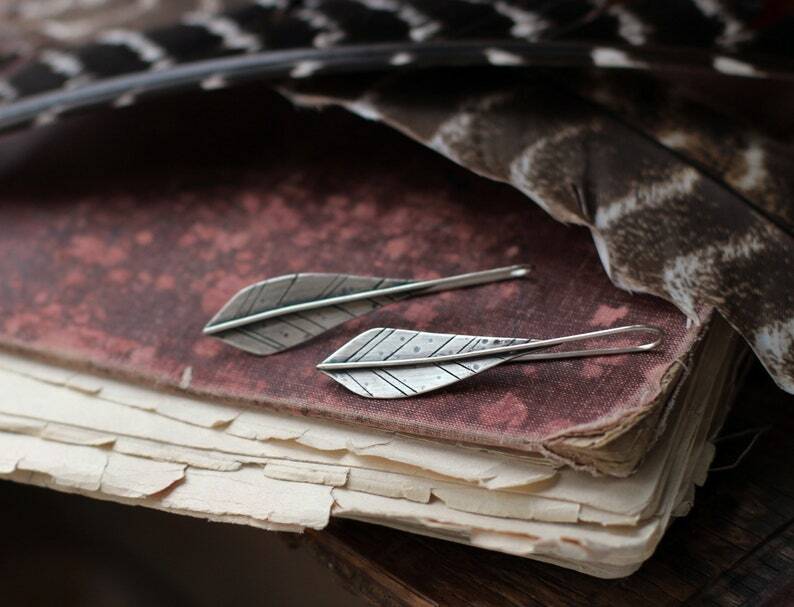 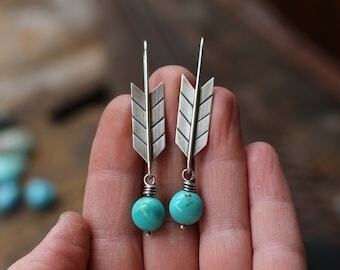 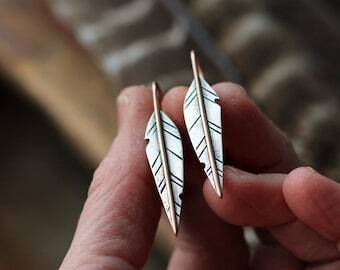 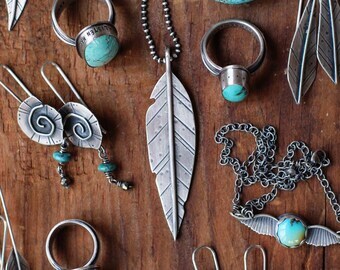 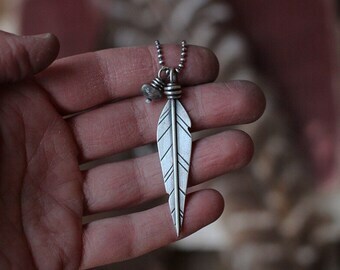 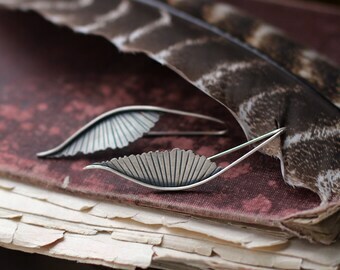 these sterling silver feathers will dance from your lobes. 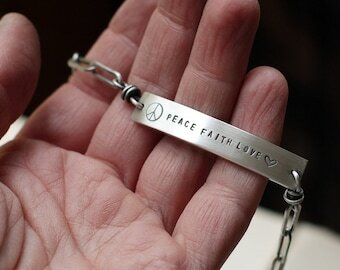 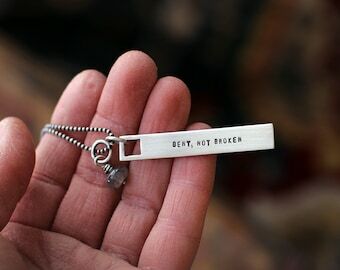 hand stamped front and back...personalized with your custom word/words or choose IGNITE THE FIRE. 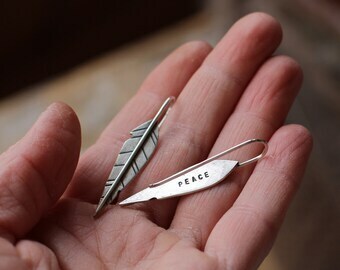 jewelry meant to I N S P I R E .
if choosing the custom word option: leave the word/words to be stamped in the 'message to seller' area at checkout.